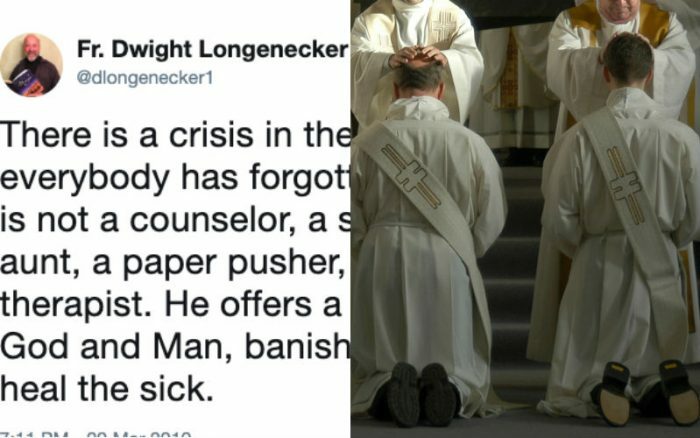 Do you think this priest is right? 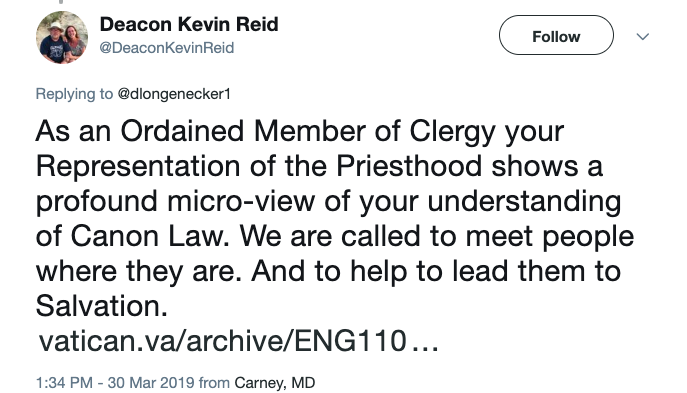 The tweet received almost 3,000 likes, more than 700 retweets, and almost 230 comments. Responses were both positive and negative. Do you agree with Fr. 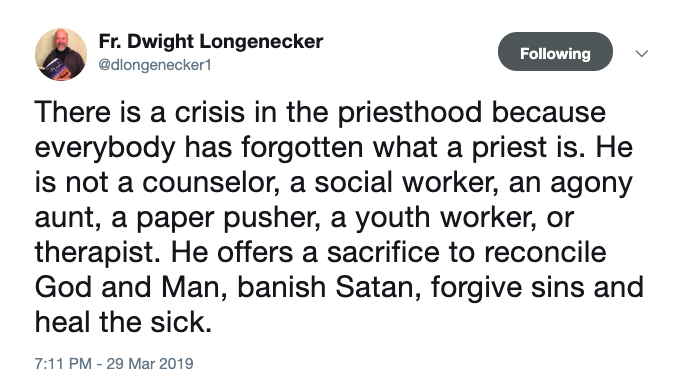 Longenecker’s tweet about the priesthood?